If it weren’t for cruising, car culture, and Whittier boulevard in East LA, I wouldn’t be alive. At seventeen, my mom was an East LA ruca, dating a part-time delinquente, Michael Cruz, who skipped school and cruised the boulevard, hung around Chronies, a hotdog and burger joint, and avoided the Lincoln Heights area because it wasn’t his territory. Mom went to school most of the time. She was even there during the walkouts, the day many of the Garfield high kids got locked inside by school officials. Some who got out were battered by police. 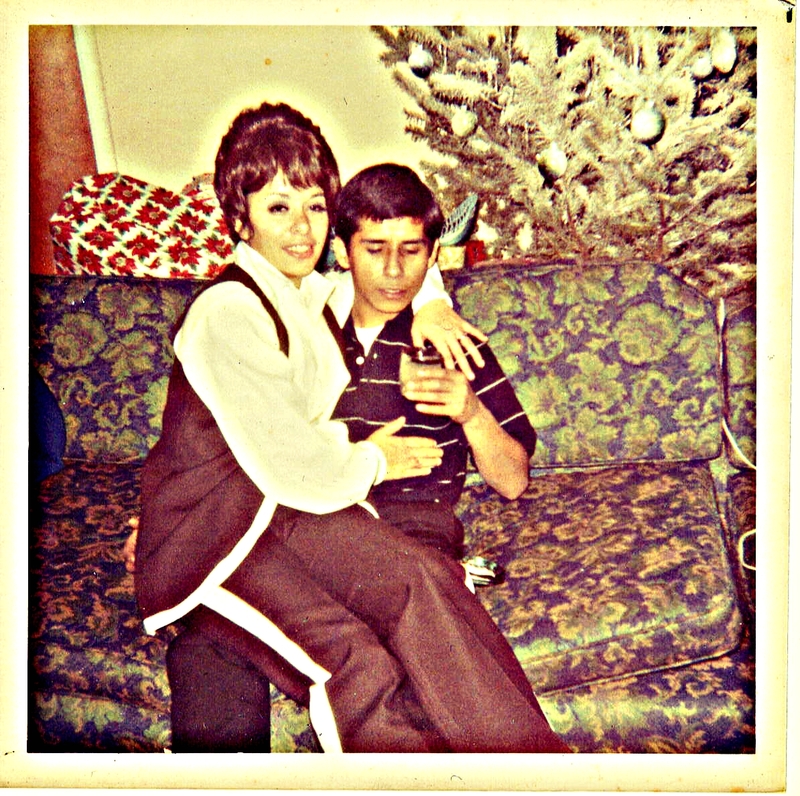 Like a lot of Chicano kids back then, Mom’s heart wasn’t in school. School was a prison, a place that that didn’t teach you anything about yourself or your own history, a place that made you feel bad for having brown skin, for speaking Spanish, a place that didn’t allow Latino kids to use the bathroom during lunchtime for fear of vandalism and fights. It’s no wonder the streets, cruising, and cars represented freedom. It was on those streets where they would, for better or for worse, define themselves: Chicanos, pachucos, vatos locos, soto street, city terrace. Mom and Michael weren’t in a gang, but they lived in Boyle Heights; that was their territory. Their families had crossed the border to make their lives in America, only for their children to close the borders around them. Cruising Whittier, put them at risk for getting to close to other territories, and fights, and violence, but cruising the strip and hanging around Chronies was also a social experience away from teachers, and parents, and rules, some that only applied to them because they were Chicanos and to no one else. So in response, they carved out a piece of freedom and made more rules at the same time, a sort of futile using the master’s tools approach to their discontent. Writer Audre Lorde said that you can’t use the master’s tools to dismantle the master’s house, wise advice, but still the kind that young people, especially car loving, street-smart kids disregard because they think they know better. Eventually, too much cutting school and cruising, got mom kicked out of school, which didn’t much matter to her because Michael wasn’t there and she was in love. Mom was in the kind of love that caused sixteen year olds to jump out their bedroom windows at night, the kind of love that caused sixteen year olds to steal their fathers’ Oldsmobile, and forget to put on the hand break, parking it on one of those Boyle Heights hills, where it rolled away and into the neighbor’s fence, the ones who sold drugs, who didn’t want any trouble, so they let it slide. Mom was in the kind of love that got her pregnant at seventeen by a guy with a quick temper and a Napoleon complex. Cruising should have meant freedom for my mom, but instead it meant a shotgun wedding in a knee length white dress, that sort of hid her growing belly, long enough to smile and pretend she was sure it would all work out, even when she knew it wouldn’t. Michael may have had a job and a Mustang, but he would hurt her and she would have to set herself free. And so goes my lowrider legacy. I rode home from the hospital in Michael’s Mustang, down Whittier from General Hospital, only they weren’t cruising anymore. I had stolen their youth, and Mom and Michael were on a crash course to divorce. Still, I have to honor my East LA-vida loca-Whittier Boulevard-cruising legacy because it set me on the road toward real freedom ever since.